Condor Outdoor 3 Day Assault Pack | BUDK.com - Knives & Swords At The Lowest Prices! 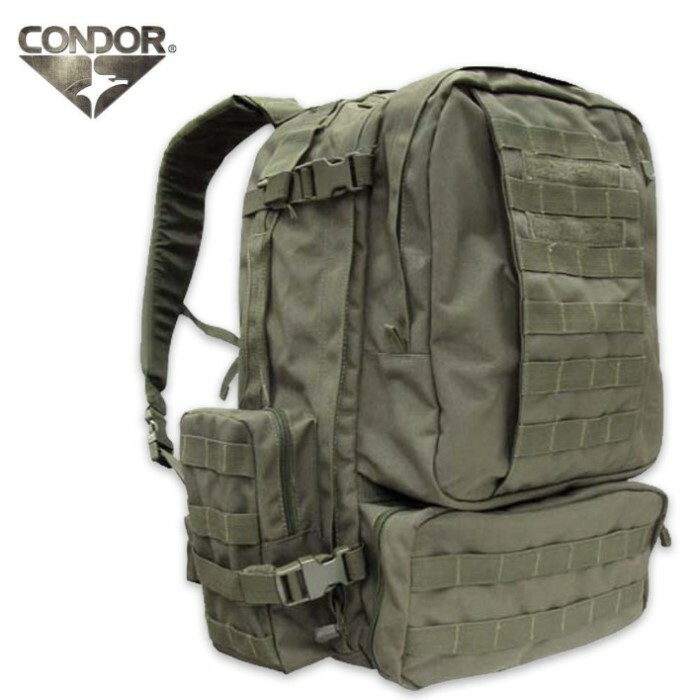 This Condor Outdoor 3 day assault pack features a large load cargo capacity compartment with a separate pocket to fit up to two 3L hydration bladders, body contour shoulder straps with a D-Ring for equipment attachment, sternum strap, waist belt and external side compression straps. The heavy-duty carry and drag handle makes this pack easy to maneuver.